Rating: 6.5/10 (4 votes cast) Login to rate this site now! 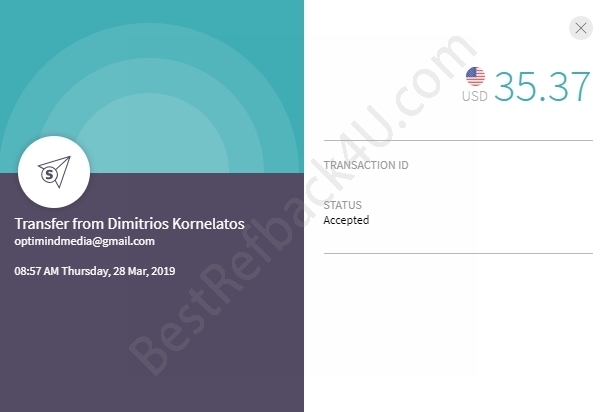 GPT site from RewardingWays, SuperPay admin. Rating: 7.0/10 (22 votes cast) Login to rate this site now! Great PTC with low payout. Rating: 0.0/10 (0 votes cast) Login to rate this site now! New PTC site where you can earn Ethereum. Ethereum is the second most popular cryprocurrency after bitcoin. 1 ETH = around $300. Min. cashout 3500 Szabo (0.0035 ETH). Up to 3 Szabo per click. Cashout to Blockchain wallet, which supports Ethereum now too. PTC site owned by GrandClick and GrandMonopoly admin since 27 Jan 2015. More than 5 years old paying PTC site. Low payout minimum only $0.05. PTC, PTR, PTSU, Traffic Exchange. Good PTC site paying for more than 2 years. Paid to watch, paid to like, paid to listen. Offerwalls: Matomy, SuperRewards, TrialPay, OfferToro, BLVD, WannAds, ClixWall, Persona.ly. 8 ad clicks are needed to get tomorrows referral earnings. Rating: 5.4/10 (5 votes cast) Login to rate this site now! Many years paying PTC/GPT site. Same admin as InnoCurrent. Unlimited daily earnings, you get new ads every 3-10min (reload the page). You can reach cashout very easily. Possibility to install their toolbar (you will see new ads, offers etc.). Where to view ads: click on Start Earning and classic ads are under View and Regular links. ATTENTION: Always read and follow the clicking rules otherwise your account can be suspended! Refback request: Enter your ID (identification number, which is the number at the end of your referral link) to the form. If you filled in Community Nickname in your profile, enter this Community Nickname. If you filled in Community Nickname after you sent request with your ID, you HAVE TO contact us - write your username at BestRefback4U and your Community Nickname at AyuWage to the message. If you do not contact us in this case, you can not get refback! Many years paying PTC/GPT site. Rating: 9.0/10 (1 vote cast) Login to rate this site now! More than 7 years paying PTC/GPT site. Same admin as AyuWage. Unlimited daily earnings, you get new ads every 3-10min (reload the page). Where to view ads: click on Start Earning and classic ads are under View and Standard links. ATTENTION: Always read and follow the clicking rules otherwise your account will be suspended after reaching 3 Warnings! If you get a Warning, let them expire first (after 24-48h) and then continue earning. If you filled in Nickname (in Change Forum Information) in your profile, enter this Nickname. 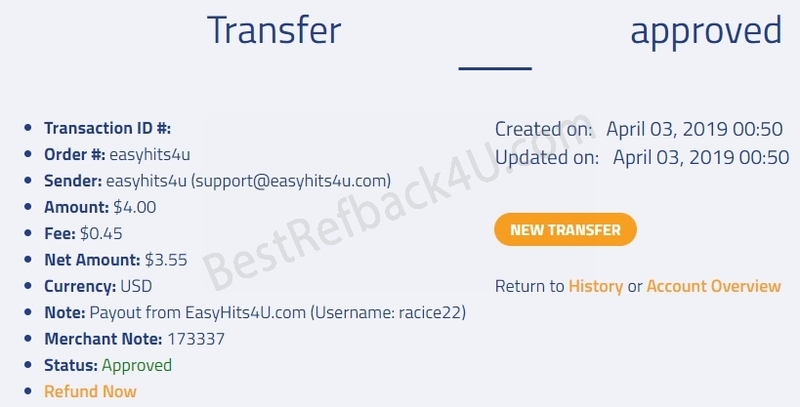 If you filled in Nickname after you sent request with your ID, you HAVE TO contact us - write your username at BestRefback4U and your Nickname at InnoCurrent to the message. If you do not contact us in this case, you can not get refback! Rating: 5.0/10 (3 votes cast) Login to rate this site now! More than 11 years old paying elite GPT site. You can earn by completing offers, watching videos, viewing ads, playing games, taking surveys etc. You get XP (you need them to raise your level) and coins (can be exchanged to cash) for various activities on the site. 1 coin per new referral. You earn 10-30% from 1st referral level and 5-20% from 2nd referral level; the higher level the more you earn. You will find PTC ads under Earn Coins -> Pay Per Click. Offerwalls and tasks: TokenAds, Matomy, CrowdFlower, RadioLoyalty and more. Rating: 6.9/10 (7 votes cast) Login to rate this site now! Earn cash by promoting your PTP link (you grab it on the site). PTP = Paid To Promote. 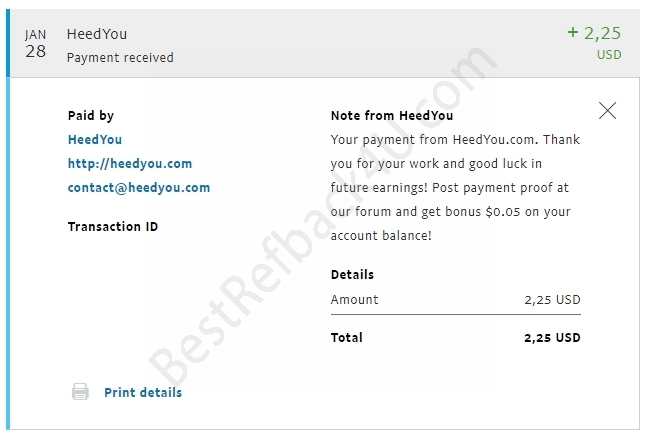 Your PTP link is also your referral link, you can get referrals by promoting it and earn from them. You earn from all unique visits as well as from up to 5 repeated visits daily (up to $0.000315/IP/day). You put your link to PTC sites, manualsurfs, your own sites, etc. and earn. Allowed sources of traffic: PTC sites, manual traffic exchanges, rotators, any traceable traffic source with min. 3 sec exposure time. Invalid sources: Autosurfs, No referrer / direct visits, Hidden iframes, Proxies, VPS, Other PTP programs, Mobile traffic (screen resolution too small), Fake referrer traffic, Non-traceable traffic, All visits with less than 3 sec duration, regardless of their source. Guide: how to earn, here! Rating: 10.0/10 (2 votes cast) Login to rate this site now! Years paying traffic exchange and PTC site. Same admin as PPCAdSource. Ads (counted for refback) can be found at: Cash -> PTC Ads. You earn money to Your PTC balance and you can convert it to main balance by clicking on Convert to Commissions link when you reach at least $0.01. You earn money also by playing various games and referring others. As a traffic exchange (Surf) this site is very funny, there are many games, different games every day. However, there is no refback from Surf. Games: AdGrid, RapidWin, Shell Game, Cash Money, team surfing and many others. Rating: 8.1/10 (7 votes cast) Login to rate this site now! Paying Bitcoin PTC site - rewards are in Bitcoins. Rewards can be withdrawn to Xapo wallet - immediately after reaching 0.01 mBTC or to your Bitcoin address. Sign up for Xapo wallet here. You can send Bitcoins immediately from here to i.e. your Bitcoin address or you can pay with it.